Since Aaron won a peck of Honeycrisp apples after I already bought some, I felt more comfortable trying some new things with them rather than hoarding them like I typically do. 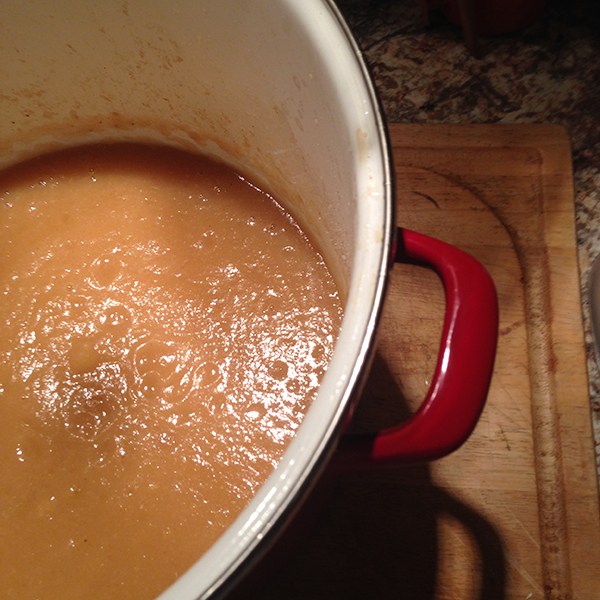 We made a batch of honeycrisp apple sauce. 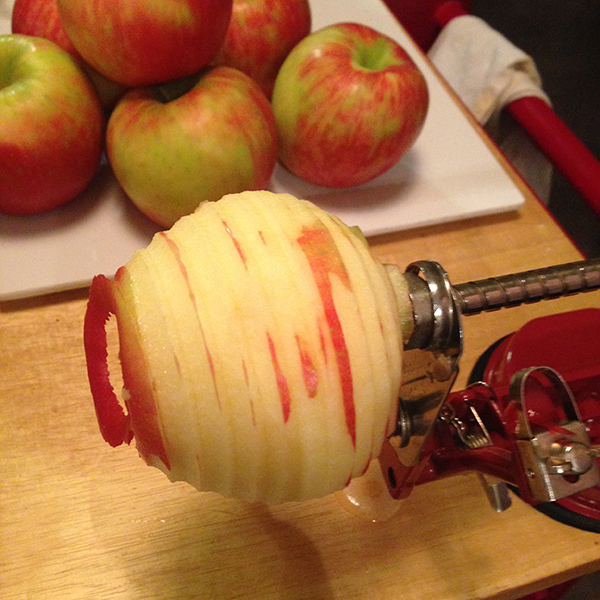 Maybe it's just my imagination, but anything made from honeycrisp apples seem lighter and crisper than other apples. We all know I am very partial to honeycrisp. Despite the latest apple bruhahah. Here is the best idea we have had in a long time. 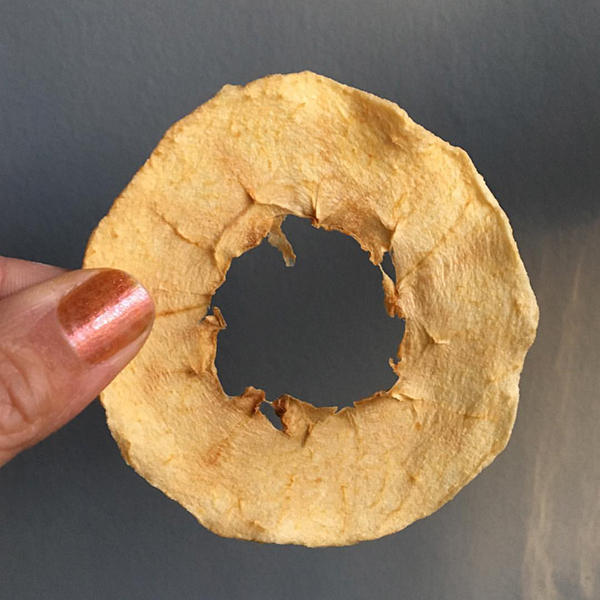 Thin slices of honeycrisp apples placed in our food dehydrator. They. Are. Amazing. The pugs beg for them but I hand them out judiciously. They are being rationed.